No, you do not need a #2 pencil and there will not be a grade assigned at the end. We are talking about testing to improve your kart performance and ultimately your race times. So, how do you test? First separate out testing and lapping. Testing is determining how changes on the chassis or the engine setup affect performance. Lapping is the process of making lap after lap around the track to improve the driver's line and consistency. As we have said before, the biggest change from race to race is the driver so do not underestimate the benefit of lapping. 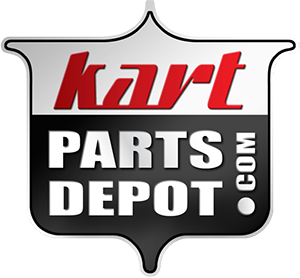 For a day of lapping, you will want to have the kart set up at a pretty much baseline configuration for both chassis and engine and have your fuel can ready. The idea is to pound over a hundred consistent laps until the driver can hit his or her marks every time. The point is to learn to drive the kart near its limit of control, and do it every single time. For testing, you also want to start with the baseline configuration. Get the baseline setup that your chassis manufacturer recommends, put everything back to that, make sure your engine package is solid and consistent, and you are ready to start. Next make a list of the parts and changes you want to test. The goal is for the driver to learn what the system does when a change is made - determine how it affects the turn in, apex grip, exit handling, etc. so that he or she can maximize the kart's performance. Start with changes on the big things (seat position, axle, ride height) and then move to the small fine tuning adjustments. Be cautious however, and understand that the track changes throughout the day and from day to day. While speed and lap time is the ultimate measure of success in the race, it is more important to note what exactly was changed and how the kart felt. Although there is no measurement unit for how tight or loose the kart feels, try to quantify it on say a scale of 1-5 or 1-10. That way, as you change each thing and note its effects, you will be prepared to tune for the conditions. How does seat position effect handling: recommended, forward, backwards, raised? How does a softer and harder axle effect handling? Third bearing hooked up or loose? Second set of seat struts? Rear ride height: neutral, high, or low? Front ride height: neutral, high, or low? Addition of rear and/or side torsion bars? Increase/decrease front and rear track width? Toe in/out 2mm from stock? +/-3 psi of tire pressure: front/back? Different wheels: aluminum vs. magnesium?